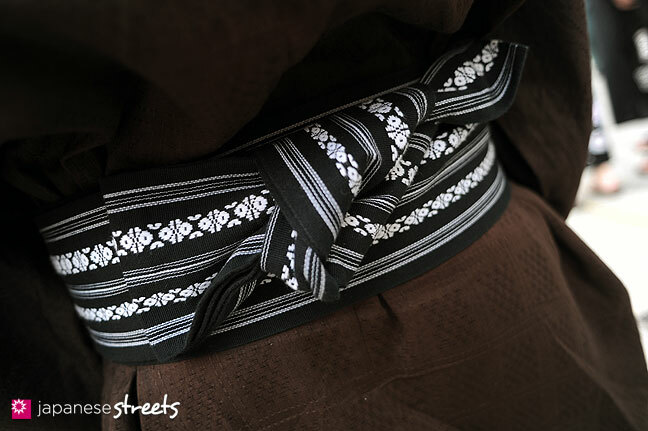 I like the way his obi is tied. It would have been interesting to see what type of head wear he would have paired with his outfit. Pleased to see how traditional outfit can still be worn perfectly in this 21st century. 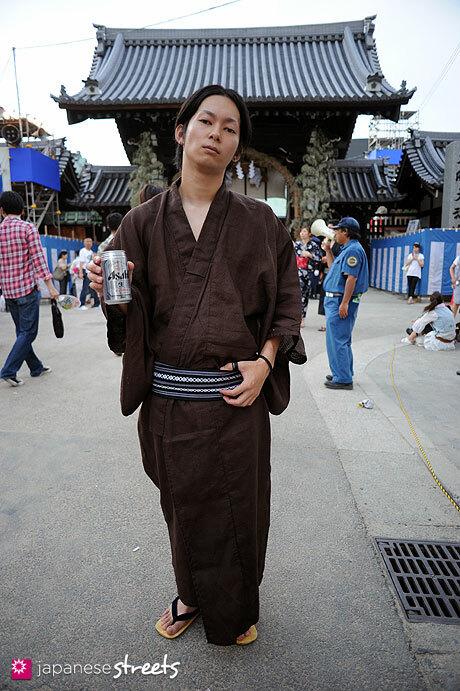 Yukata and beer, an ideal partner :) Thank you for the shots. 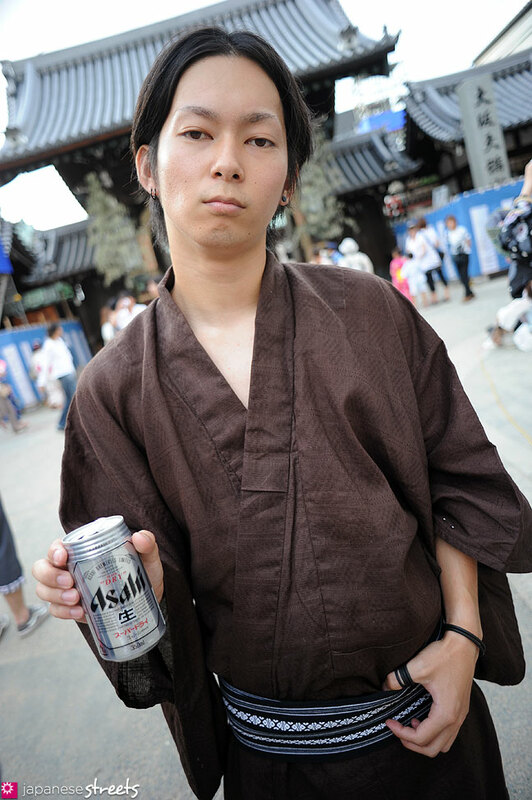 @nonsibi: Until the 1990s, young Japanese men were not found dead in yukata. I am really glad this wonderful Japanese item has made such a great comeback. @Mel: Maybe because of his eyebrows?